The week-end is here and in spite of the weather forecast, it's still summer on most part of Italy :-), so today I wanna smile and take advantage of the sunny and warm weather to go out and have a long walk. When the rain is going to arrive here, I have good plans as well...staying home watching all my fave tv series ! I am so excited about watching Gossip Girl new season (starting soon), Glee season 3 (already started), How I met your Mother (started), and also I am looking forward to seeing "Terranova", the new serie starting soon on Fox !. What are your fave tv series ? I love fashion but I also like tv series and many other things of course ;-). Il weekend è arrivato e a dispetto delle previsioni meteo è ancora estate su gran parte dell'Italia :-), così oggi voglio essere felice e approfittare del tempo caldo e soleggiato per uscire e fare una lunga passeggiata. Quando la pioggia arriverà, sarò pronta ad accoglierla, ho ottimi piani...restarmene a casa a guardare tutte le mie serie tv preferite ! Non sto nella pelle per i nuovi episodi di Gossip Girl (inzierà presto), la stagione 3 di Glee (già iniziata), How I met your Mother (iniziata) e non vedo l'ora anche di vedere "Terranova", la nuova serie su Fox !. Quali sono le vostre serie tv preferite ?. Io adoro la moda ma ovviamente non è il mio unico interesse, mi piacciono le serie tv (preferibilmente in lingua originale) e anche molte altre cose ;-). In the past I would have never mixed different floral patterns like this, now the more time goes by the braver I feel about trying new things, I am pretty satisfied with the result, I have to say ! Moreover that belt has been in my wardrobe for quite a long time and I was happy to use it cause I like it a lot !. When I entered the Free People shop in Soho (NY) it was love at first sight with this skirt, I had to buy it immediately ! The mixture of floral patterns on it is so original ! To be sincere I also wanted to buy a pair of lace bell bottom pants I saw in there but I realized they were totally transparent and I imagined the looks I'd get here at home, so I gave up, LOL :-). In passato avrei avuto degli scrupoli a mischiare due stampe floreali, ora più passa il tempo più mi sento coraggiosa nel provare nuovi accostamenti, sono abbastanza soddisfatta del risultato, devo dire ! In più quella cintura è nel mio armadio da parecchio e sono stata contenta di adoperarla, mi piace molto !. Quando entrai nel bellissimo negozio Free People a Soho (NY) è stato amore a prima vista per questa gonna, ho dovuto comprarla immediatamente ! Adoro il mix di diverse stoffe floreali, molto originale !. Ad essere sincera, avevo adocchiato anche un paio di pantaloni a zampa in pizzo ma ho capito che erano completamente trasparenti e ho immaginato gli sguardi che avrei attirato una volta a casa, così ho rinunciato, LOL ;-). Thanks for your comment on my blog, yes, we should follow each other- I AM FOLLOWING you... i'm gonna start reading yor blog everyday.. so CUTE! Great look! !I´m diying for those shoes!!Kiss!! love your top and your bag!! cute outfit! Your bag looks gorgeous! You look great! Really nice outfit! I love tv series too! I can't wait for the premiere of Gossip Girl, and so many other series I'm watching. Including the ones you said. ey!thanks 4 visit my blog,I follow u and would like that you follow me too! !xoxo C.
Beautiful outfit! Love the matching belt and bag! heyy u look beautiful! im totally in love with ur blog! Great outfit like always my friend! lovely. i love series too. i am about to start one called "white collar" i hope i like it. Lovely your look, so cute!! I love to read you every day!!! I love the clothes today, and the SUNGLASSES!! So chic!!! great look! :) love your bag. i didn't know glee already started, new gossip girl episodes? thanks for the reminder. that is one lovely floral pattern mix outfit in powder blue, romantic lace, with burnt sienna belt & handbag! do you mind if i use it as inspiration for my own version? I love colours of your outfit!!! I love your shoes. Kisses. Love the belt you're wearing! So gorgeous! lovely skirt and cool bag! beautiful dress, wish there were some close ups of the details, looks like the fabric is very delicate. love the belt and bag! In effetti anche io avrei le mie remore ad abbinare due fantasie, ma vedendo te direi che è proprio un preconcetto sciocco!! Wonderful blog! :) I love the look of it and I love how you write about things! :) Will definitely follow! You look so lovely! I like the outfit! Love your combination of clothes. I loved the mixed different floral patterns!!!! Great. I really like how you matched those two pastel colours together - the florals are beautiful! I consider myself a huge effing hippie so of course I am loving this look.. I love your blog! Im now following you. I adore how you're wearing different floral patterns. So cute! I'm also looking forward to the new season of Gossip Girl. It feels so long since the last season. La t-shirt che hai usato è davvero bella!!! Ti capisco, anche io adoro alla follia Gossip Girl!! You have an amazing blog!!!!!!! In Greece we already began staying home and watching tv series cause it's already raining in here. Miss Italy I've been their last year and love her!!!! When I find the oppurtunity I'll come and visit Roma and Florence again!!!!!!!! come back to my blog! beautiful pictures! i have new post! I really like this summery outfit....and especially the top! What a truly fab and wonderful ensemble--you wear it well dear! LOVE those sunnies! So chic... Chanel sunglasses are the best! PS: Thank you for the comment on my blog!! I just followed you! would you like to follow back?! Splendido outfit e adoro la gonna! Hai fatto benissimo a prenderla! Per quanto riguarda l'ipad forse devo scaricare un'applicazione particolare? tu l'hai fatto? I'm loving your blog, so far! Great belt with this outfit! It makes your outfit pop! Thanks for the blog love, too! Ecco cosa mancava! Vado su app store e mi devo scaricare blogger! Che scema! pensavo che andasse come per il pc! Grazie! Ti faccio sapere! bellissima la maglietta , e anche la gonna mi piace! Your outfit is so cute, I love your skirt! Now I am following your blog with Google Friend Connect. I love your look, you're beautiful ... the combination of flower was perfect! wow, I love the oversized bag ! thank you so much for following me back hun! ahh im so jealous that it's still so warm in Italy, you can wear gorgeous outfits like the one youre wearing! i love the top!!! I love the style, it absolutely made you look radiant! Followed you back sis! Thanks for visiting! Floral print on floral print, brilliant and it turns out great. I love this look. Thanks so much for stopping by and leaving a kind comment. I am always delighted when someone shoes genuine interest in what I share, not just want me to follow them back. I also love exploring new awesome blogs :) Followed ya from U.S.
Belissimo look! Mi piaci i fiori nello vestito. I occhialli sono perfect!! Thanks for youre sweet comment ! I love your bag! I am a new follower and hope you will come and follow me too! To follow each other is a great idea. I just started. Thanx for visiting and comment on my site. Follow eachother? Check out our second post &follow us back if u want! amazing look! love the mixed prints! really work! love your outfit and your belt!! i really love your shoes!! cute skirt love the mix of the floral patterns! cute flower combinations! yes I'll follow you, and I'd be so happy if you followed me back-it's a great idea! Hello there! Your blog is absolutely amazing! I love the design of it and everything. I love all the floral prints you've got going on - they are so playful and go so well together. Beautiful post! absolutly pretty, honey! this skirt suits you so good! Lovely ! This flowered outfit reminds me of summer ! i cannot, for the life of me, wear floral. and you wear it beautifully!!! great post. let's be blog friends? love the look very cute!! i'm in love with all your leather bags!!! p.s. did you post about your wedding? I would love to see the pics or post. thanks for leaving such sweet comments! Of course I'd be proud to follow you too! 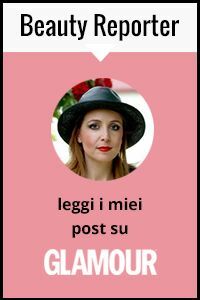 Da grande fan di gossip girl posso dirti che la 1 puntata della quinta serie è già uscita!!!! Ho sentito dire che How I met your mother è carino e penso che lo vedrò anche io! You look amazing! Nice post :-)! Thanks for the lovely comment dear! We really like your blog! Would you like to follow each other :-)? Oh, now I see! We were already following your blog too! I'm so sorry I forgot about it! Silly me, haha! thanks for following.. will be following back! How I met your Mother is one of my favorite shows too! If you have time, please check out my new (second) blog, elissespieces.blogspot.com. If you don't have time, that's okay too! Happy week ahead! You look great as always. I'm following two teenage serials at the moment out here in Suriname; 'The Secret Life of the American Teenager' and 'Teen Wolf'.